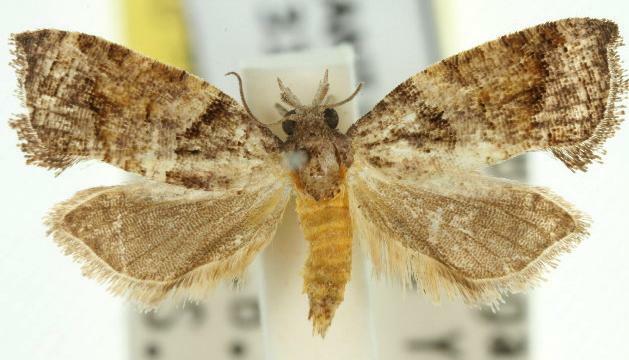 The adult moth of this species has patchy brown forewings, and plain pale brown hindwings. Both fore and hind wings have recurved wingtips and concave hind-margins. The head and thorax are brown, and the abdomen yellow. The wingspan is about 2 cms. Volume 40 (1916), p. 519.